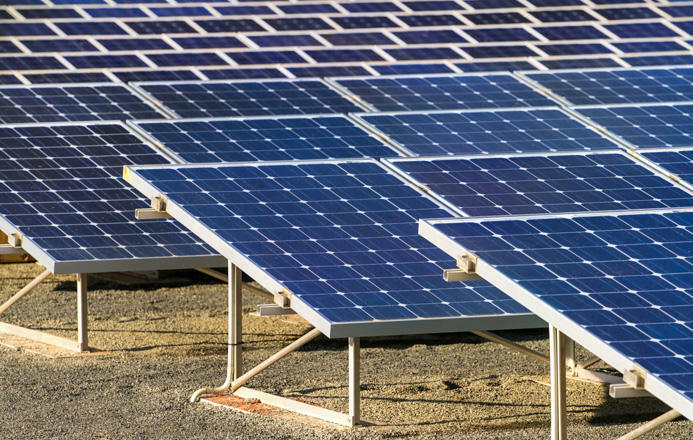 A solar power plant in Baku’s Sahil settlement has been connected to the power grid, Deputy Chairman of the Azerbaijani State Agency for Alternative and Renewable Energy Sources Jamil Malikov told Trend Sept. 3. The capacity of the power plant is 2.8 megawatts. Today, solar power plants operate in Azerbaijan’s Gobustan and Samukh towns, Baku’s Pirallahi, Surakhani and Sahil settlements. "The solar power plant in Sahil has already been connected to the grid and it is operating," he said. "But at the same time, preparation is underway to connect the solar power plant in Sumgait. I think that this power plant will also be put into operation until the end of 2018." The capacity of Azerbaijan’s energy system is more than 6,000 megawatts. At the same time, the potential of renewable energy sources in the country is over 25,300 megavolt-amperes, according to experts. Most of the country’s renewable energy potential accounts for solar energy. The State Agency for Alternative and Renewable Energy Sources of Azerbaijan plans to implement 23 projects worth about 13 million manats as part of the Strategic Roadmap for the Development of Public Utilities (Electric and Thermal Energy, Water and Gas) in 2018-2020.